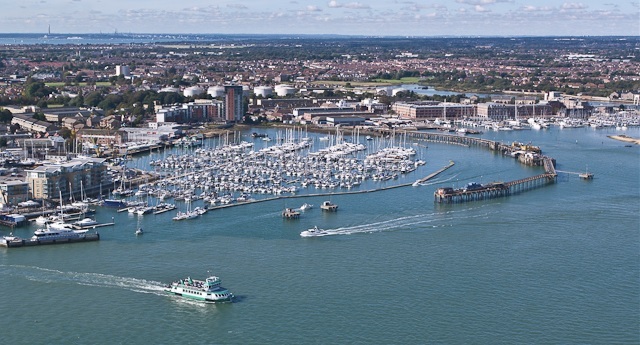 South East Leasehold specialises in high quality block management services in Gosport. We are a team of skilled and experienced solicitors and accountants with expertise and knowledge of block management for properties around Gosport, from the town centre to Lee-on-the-Solent and further afield. Our team has the skills to provide you with a full and bespoke management service, including anything from planning maintenance schedules to collecting ground rent and other fees from tenants. If you have got a block or just a single property that requires management in Gosport, please get in touch with South East Leasehold today. Our experienced team is available on 01903 890666 where we will be able to answer any questions that you have and provide information on the variety of services that we provide. No matter whether you are running a brand new development of flats or have a single converted house containing a small number of properties, the administrative tasks and day-to-day management can become overwhelming. At South East Leasehold we can take on this responsibility and carry out these tasks to ensure that everything runs smoothly. Our services including handling everything from utility suppliers, organising maintenance and dealing with all forms of compliance with regulations. We can also manage the insurance of your properties. Staying in control of the finances of the block is one aspect that can be daunting. South East Leasehold will take over these responsibilities including the preparation and collection of any charges that need to be paid by tenants. We can handle a range of other financial matters such as the reconciliation and protection of our clients’ funds. At all times we will keep in contact with your accounts so that the whole process is as simple and smooth as possible. We understand the need for a completely transparent service that you can both trust and view whenever you wish. This allows you to have complete confidence in us to manage your portfolio effectively. To do so, we make use of advanced block management software which you will have access to via your own log-in details. This means that you can view your account in real time for full control of everything going on. Our team has specific experience working in freehold project management. We work with a range of clients with portfolios and properties that are freehold, and we have the skills and experience to management some of the more complicated issues that can arise. This means that we can offer advice and guidance on anything from lease extensions to enfranchisements or deal with disputes of service charges. As local specialists with fantastic knowledge of Gosport and the surrounding area, we can additionally offer you advice on getting more value out of your portfolio of properties. Whether you are looking at renovations or other major works, we can provide insight. If you are interested in learning more about what South East Leasehold can do for you, or you would like to speak to us directly about providing block management services, you can get in contact with our team today. Please call us on 01903 890666 to speak to a friendly and experience member of the team. Alternatively, you can email email@southeastleasehold.co.uk and we will get back to you as soon as we can.